The Port of San Diego has approved a one-year pilot project to demonstrate the feasibility of growing seaweed on a commercial basis in San Diego Bay. Sunken Seaweed, an aquaculture startup led by two marine ecologists, will set up a pilot farm at the northwestern end of the Grape Street Pier downtown. Different seaweed species will be grown from anchored lines and monitored for commercial viability. 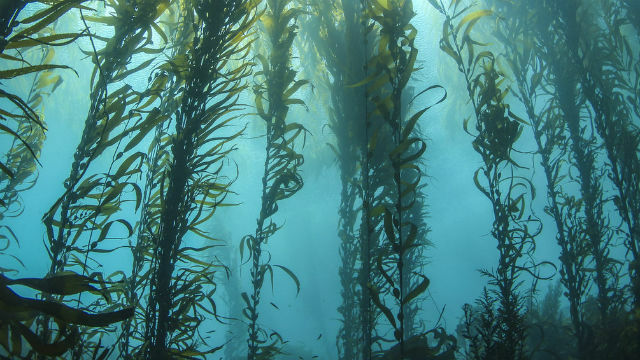 Expanding domestic uses of seaweed include food production for both humans and animals, biofuels, and processes for reducing and mitigating pollution. The project is part of the port’s Blue Economy Incubator, which promotes new water-dependent business ventures.